Experience unparalleled woodland skiing on the ultimate trail system. 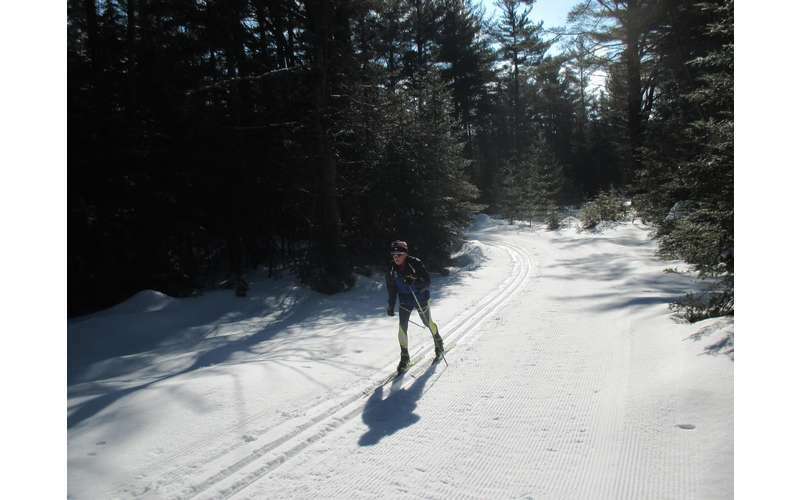 The trail system at Lapland Lake was designed by former US Olympic skier Olavi Hirvonen and is nestled amongst thousands of acres of pristine state forestland in the Adirondacks. 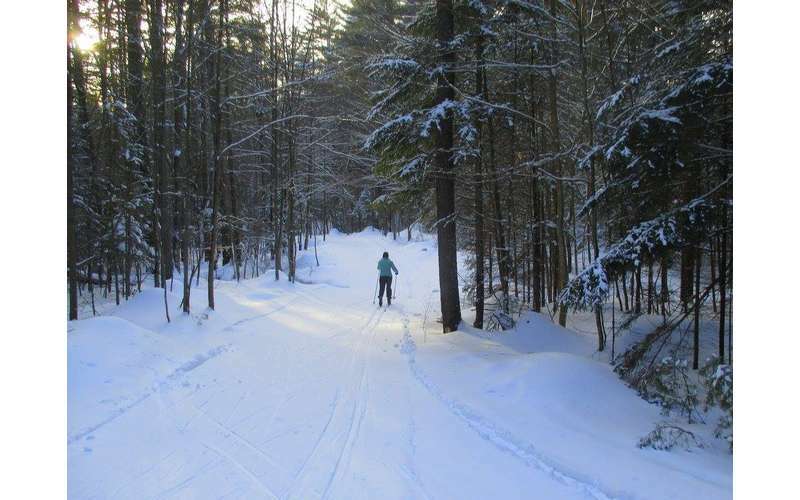 The majority of the trails are one-way, which is uncommon in the cross-country skiing industry, and provides an incredibly peaceful woodland experience for guests. An impressive 38 out of 50 of the kilometers of trails are trackset with skating lanes. Lake Trail is illuminated nightly exclusively for the use of overnight guests. Grooming is a huge priority at Lapland Lake. 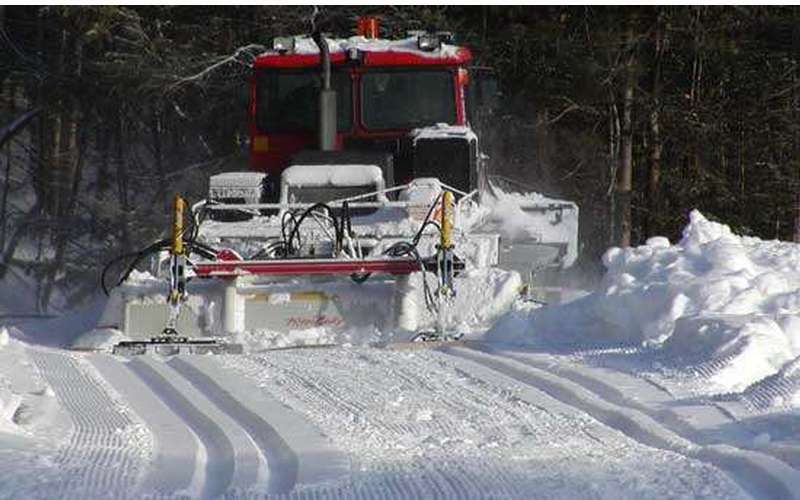 Significant investments are made to ensure the grooming equipment is state-of-the-art and results in superbly groomed trails. Trails are groomed regularly with the utmost attention to detail to ensure the best possible cross-country skiing experience for everyone. 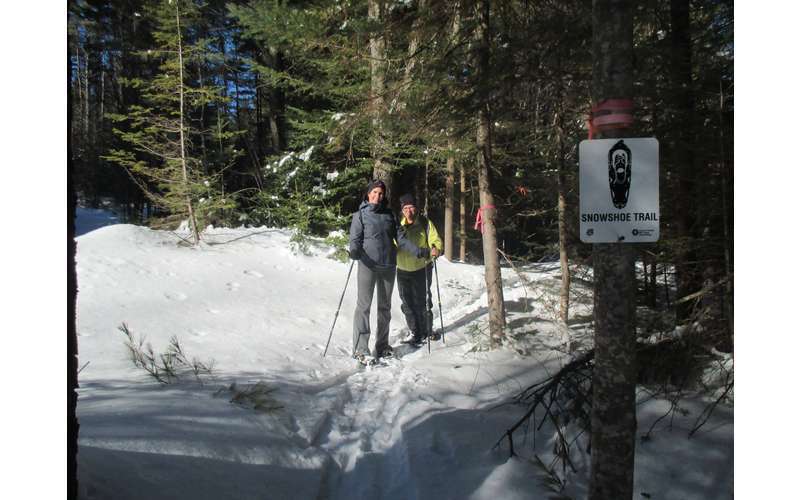 The 12 kilometers of snowshoeing trails are ungroomed, marked, and mapped, to provide a different kind of wilderness experience. 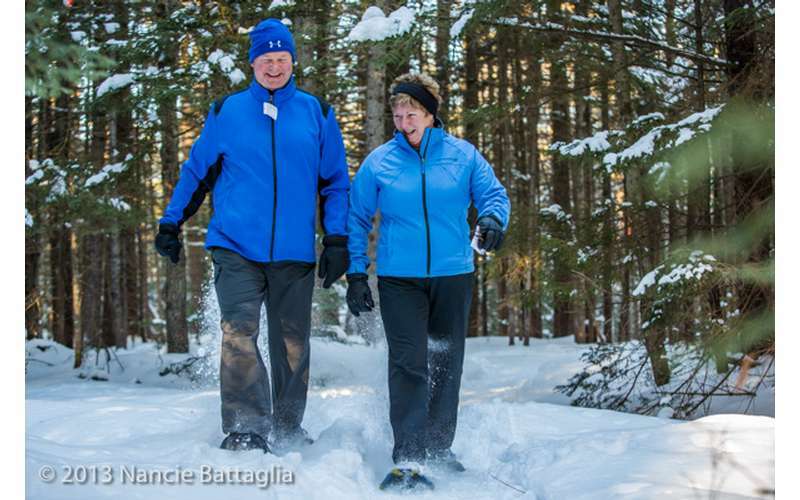 The snowshoeing terrain ranges from flat to rolling hills to steep grades as you make your way through thick forests. 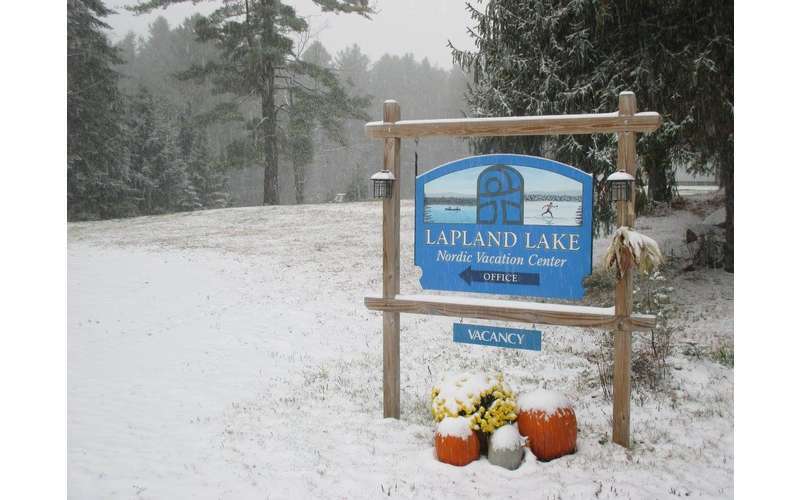 Lapland Lake is also just minutes from the 133-mile, state-owned Northville-Lake Placid Trail which is excellent for both snowshoeing and cross-country skiing. Lapland Lake welcomes first-timers, experts, and everyone in between. Their PSIA-certified (Professional Ski Instructors of America) Ski School consists of 15 job-sharing Ski School instructors who offer the best instruction through private lessons, semi-private lessons, and group lessons to junior and adult skiers of all abilities. The Ski School instructors have 115 years of combined teaching experience among them, an average of more than seven years per person - and all of this experience is right at Lapland Lake. These individuals are not only excellent skiers but dedicated and patient teachers and communicators. 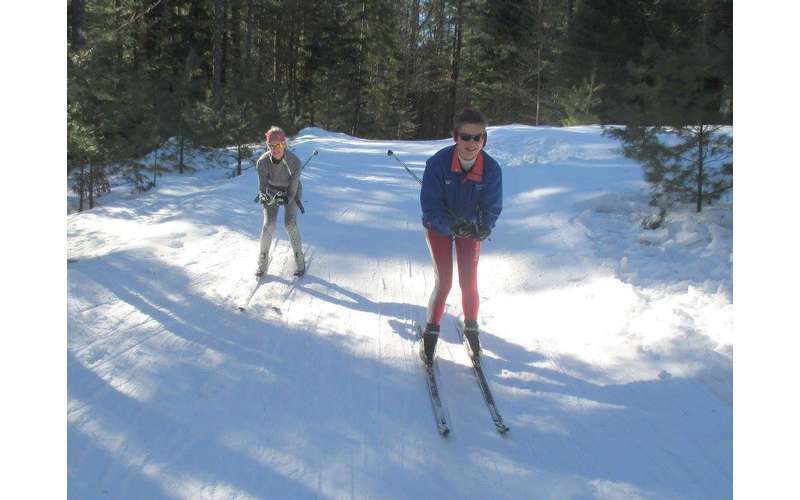 In addition to cross-country skiing and snowshoeing, Lapland Lake also offers kids clubs, pulk sleds, kick-sledding, ice skating, snow tubing, and more. However, Lapland Lake is actually a full year-round destination for recreational activities, with hiking, mountain biking, fishing, and much more going on during the warmer months. They also offer prime dining and lodging. Visit their website and start planning your trip to Lapland Lake today!